The largest wildfire in the history of Los Angeles was brought under control after 90 per cent of the blaze was contained, authorities said. 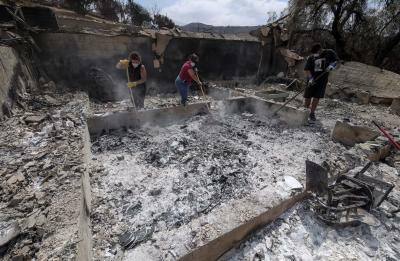 Firefighters continued to make progress on dousing the blaze and remained alert for small fires that continue to break out in some areas, a Los Angeles Fire Department official said on Thursday. The fast-moving wildfire ripped through the La Tuna Canyon near Burbank, Los Angeles County in California, since September 1, prompting emergency proclamations by Los Angeles Mayor Eric Garcetti and California Governor Jerry Brown, reports Xinhua news agency. The wildfire has burned 7,194 acres of land in total. Weather change including cooler temperatures and rain has helped firefighters in the battle against the wildfire.